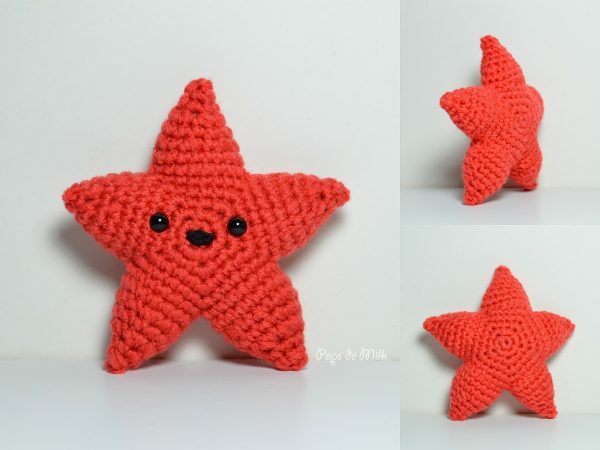 One of the first crochet amigurumi projects I ever did was a starfish. Of course, my first starfish didn’t turn out that well. But since those early days of my crochet career, I’ve made several amigurumi starfish and the most recent one was filmed, sped up 12 times, and covered with an awesome chip tune. Check out my awesome crochet starfish time lapse video! If you enjoy the video, check out the Pops de Milk starfish post!